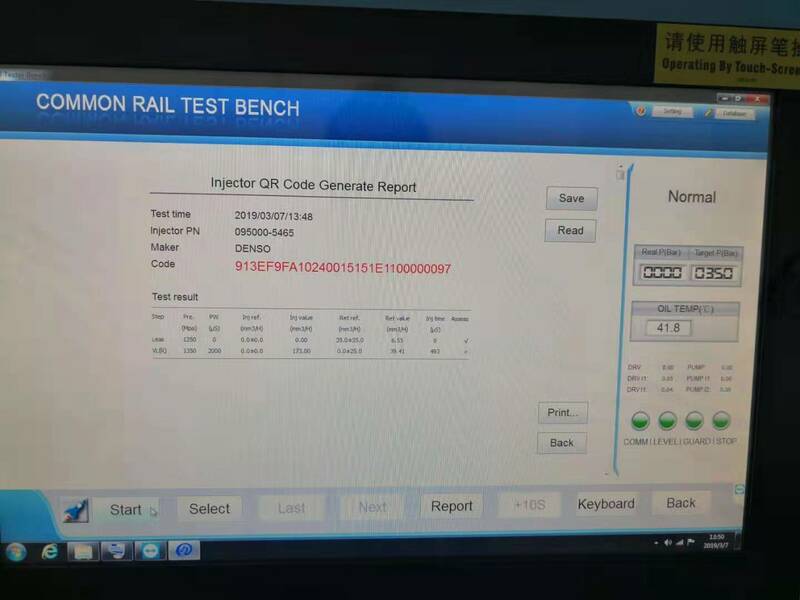 Common rail injector tester for testing common rail diesel fuel injectors, generating code for Bosch Denso Delphi common rail injector, small size, easy for transporation, romote controlling for software updation. 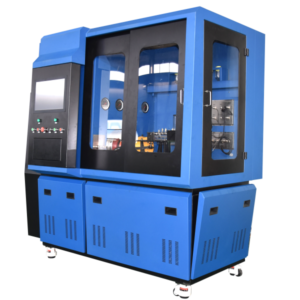 1.Full-automatic operation, high precision, automatically setup test plans, multiple protection of the injector tester machine. 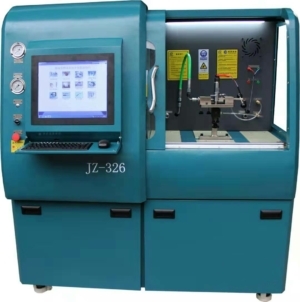 2.Real-time display of fuel injection and back-flow curve, automatic testing the fuel quantity of all working conditions, automatic generation of report after testing. 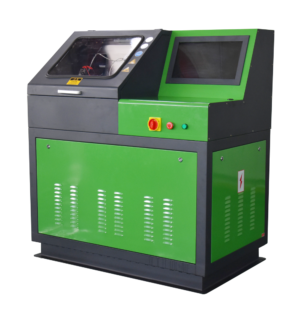 3.Industrial computer real-time control, Windows operating system, built-in display, touch screen operation. 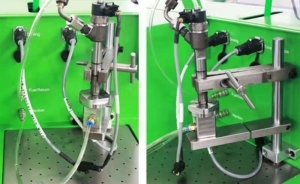 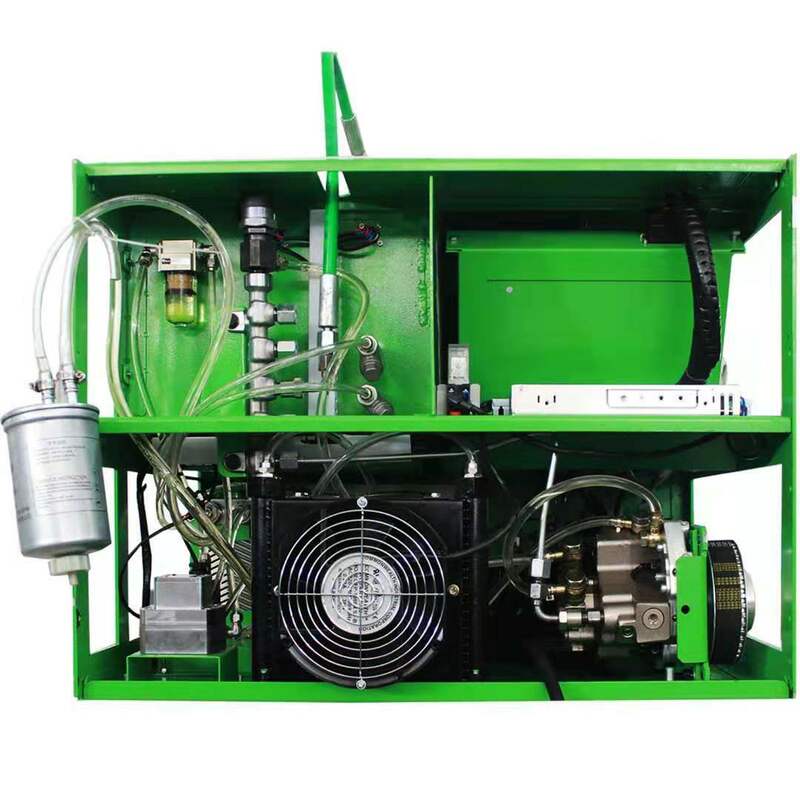 Equipped with Boschgenuine CP1 pump, which can drive various solenoid valve common rail injectors and piezoelectric CRDI injectors, testing the fuel quantity under different working conditions. Accurately distinguish the injectors’defaults , for example, missing cylinders, knock cylinders, or speed limiters when the injector working on the engine. 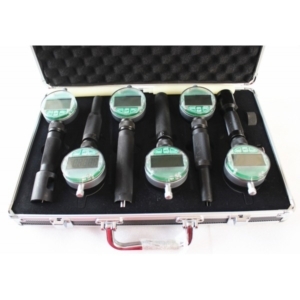 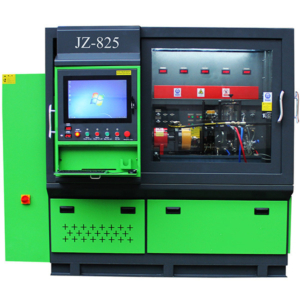 The common rail injector tester has the Short-circuit protection, ground protection, overpressure protection during the testing. 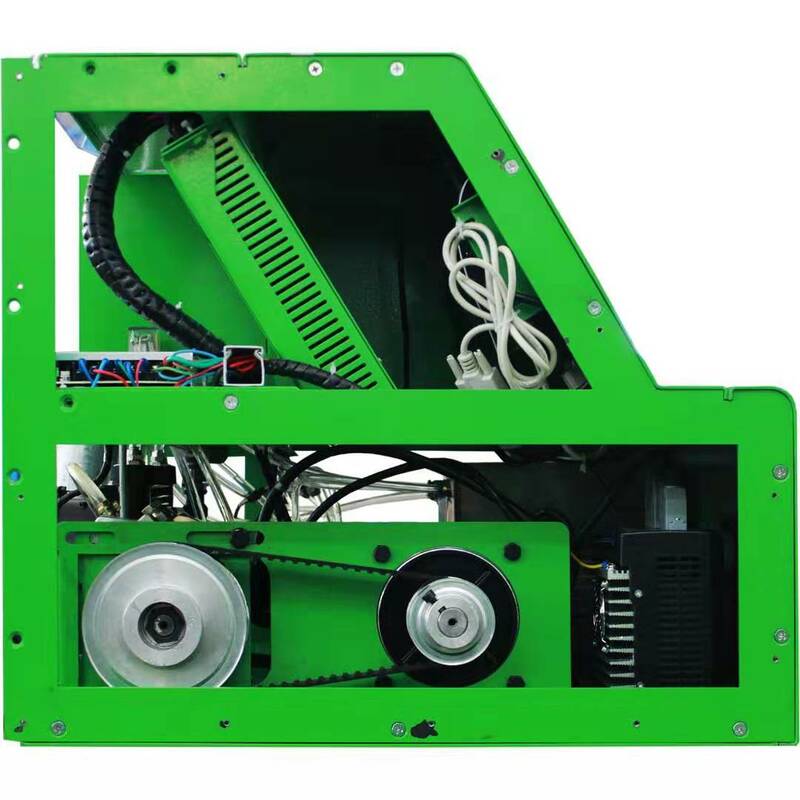 Software advantage: Intelligent algorithm isused on this injector tester machine, to automatically calibrate the fuel quantity of the new injector, and generate test plan after calibration. 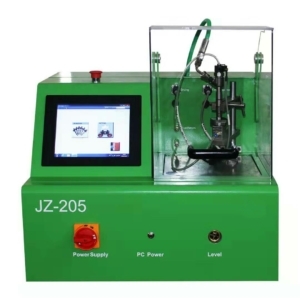 User can customize parameters such as rail pressure, pulse width, and fuel injectiontime when using this diesel fuel injector tester.